18-year veteran forward who spent his first six NBA seasons with the Dallas Mavericks, then went on to play for the Los Angeles Lakers, Seattle SuperSonics and Indiana Pacers. 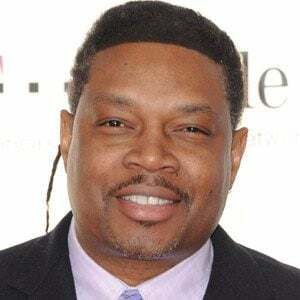 He won a gold medal for the US men's basketball team in the 1984 Summer Olympics. He played alongside Michael Jordan when they won the NCAA Championship at the University of North Carolina. He married Dionne Perkins in 1986 and he has two daughters, Chyna and Chyanne, and a son, Julian. He played for the Los Angeles Lakers in the early 1990s alongside Hall of Fame guard Magic Johnson.